Q: I love your eggs and usually get 1-2 dozen each week! I am not a huge fan of styrofoam containers though. If I send them back with my order each week, would you reuse them? Q: Is any added feed non GMO? Q: Do you routinely use antibiotics for your chickens? A: The oldest eggs are 7 days old and the freshest being one day. Q: Love the really big eggs that have double yolks. Q: Are your chickens fed gmo's? A: I support a local grainery and in doing so they cannot guarantee that the feed is non gmo. It depends on which load is used for local buys. It may or may not be. Q: Are the chickens fed soy? Q: Can we return your clean egg cartons for re-use? 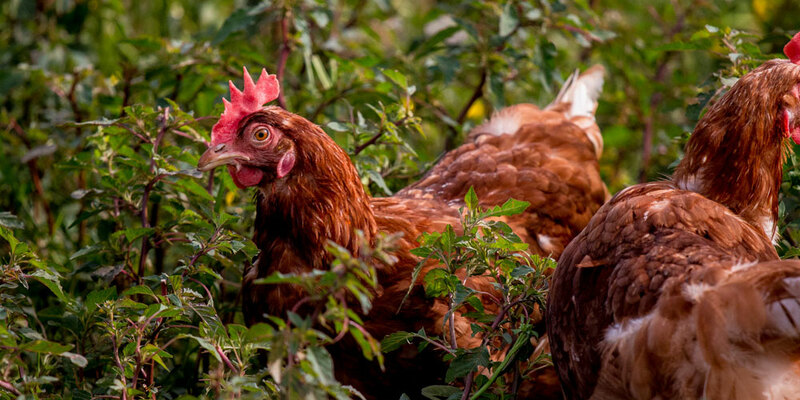 Q: Have your hens been treated with antibiotics and/or hormones? A: My birds arrive as chicks and are not fed medicated feed. Birds that are sickly are quickly culled so as not to hurt the flock. Antibiotics are not used on the farm. Q: Do the eggs have orange yolks? Q: What size are these eggs?